The Concept of God in the Magical Writings of the Beast 666 – Zero Equals Two! 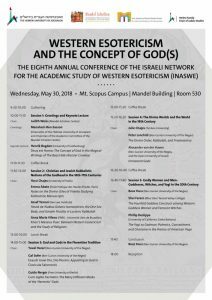 The Hebrew University of Jerusalem is hosting a seminar being overseen by Dr. Yehudit Weiss on the topic: Western Esotericism and The Concept of God (s). It will take place on Wednesday, May 30. 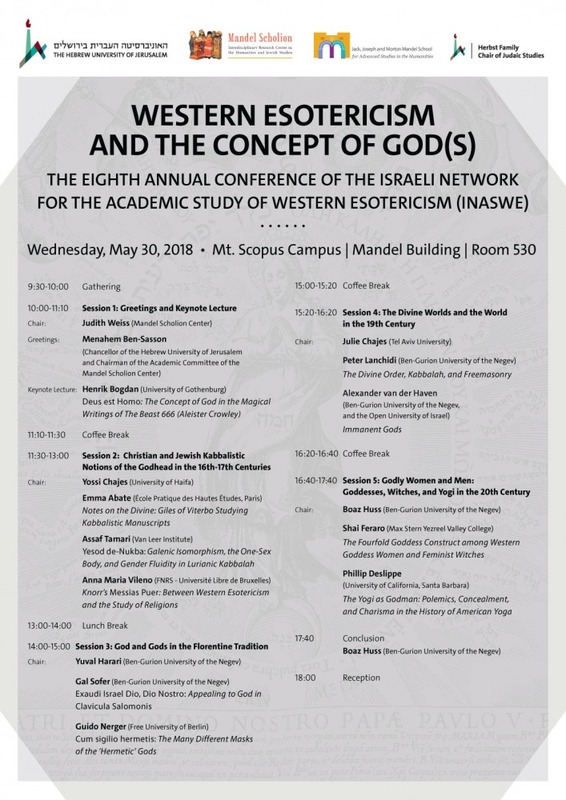 Henrik Bogdan from the University of Gothenburg will be delivering a keynote lecture at the upcoming INASWE conference, at the Hebrew University in Jerusalem. 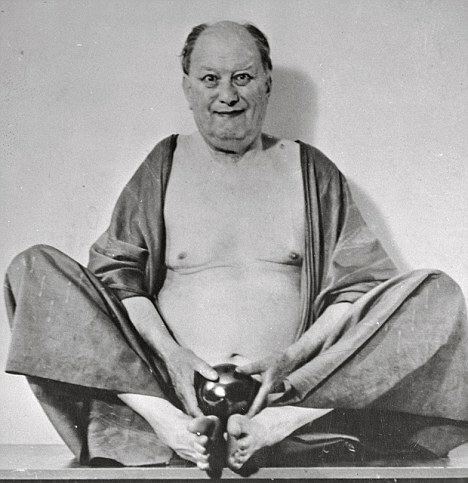 His topic will be: “Deus est Homo: The Concept of God in the Magical Writings of the Beast 666 (Aleister Crowley)”.